The Los Angeles area is renowned for its traffic jams and car culture, so it should come as no surprise that driving offenses make up a significant proportion of crimes charged in the region. The California legislature has even enacted the California Vehicle Code, where most of the laws pertaining to driving and automobile offenses are included. While many of the offenses included in the Vehicle Code are minor infractions, there are misdemeanor and felony level driving crimes. The following list includes some of the more frequently charged driving offenses in Los Angeles. Driving Under the Influence is one of the most commonly charged criminal offenses in the area. 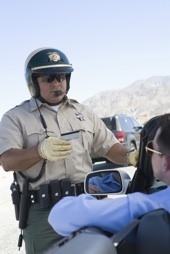 Law enforcement agencies have received specialized training in detecting and investigating DUI offenders, and as a result have become very skilled at handling these types of offenses. On nights and weekends and during holidays, law enforcement is especially vigilant for drivers who may be under the influence. Those who have been arrested for a DUI offense will typically be charged with Driving Under the Influence in violation of California Vehicle Code Section 23152(a) VC and Driving with a BAC of 0.08 or above in violation of California Vehicle Code Section 23152(b) VC. For first time offenders, DUI is a misdemeanor level offense that can include jail time, community labor or community service, a mandatory drug and alcohol education class, restitution for any damages incurred and other educational programming for anyone convicted. Independent of whatever happens on the criminal case, the California Department of Motor Vehicles will suspend the driving privileges of anyone who is found to have been driving with a blood alcohol level of 0.08 percent or above. Another extremely common driving offense that people are often charged with in Los Angeles is driving on a driver’s license that has been suspended or revoked by the DMV. In many cases, the driver will be charged with driving without a valid license in violation of California Vehicle Code Section 12500 VC. This offense can be either an infraction or a misdemeanor and is considered to be less serious than driving on a suspended or revoked license. Defendants who have multiple instances of driving on an invalid or suspended license can be charged with the more serious misdemeanor offense of driving on a suspended or revoked license pursuant to California Vehicle Code Section 14601 VC. There are several different sections to this statute that may apply to defendants whose driving privileges were suspended as the result of a DUI conviction and for defendants who were suspended as habitual traffic offenders. Convictions for these offenses typically require jail sentences for the defendant in addition to costly court fines and other terms and conditions of probation. Most of the typical driving conduct that a person may be pulled over for, including speeding, unlawful lane changes or running red lights and stops, involves infractions that will simply result in a traffic ticket requiring a fine. However, there are instances where the defendant’s driving conduct is so dangerous that he or she can be charged criminally with reckless driving pursuant to California Vehicle Code Section 23103 VC. A defendant can be charged with misdemeanor reckless driving where it can be shown that he or she drove a motor vehicle with wanton disregard for the safety of persons and property. The prosecution must be able to show that the defendant was aware of the risk that his or her driving conduct posed, but consciously ignored this risk by driving in a dangerous fashion. Simply driving over the speed limit is not enough to violate California Vehicle Code Section 23103 VC. Typically, a reckless driving charge will involve a defendant who drives in a dangerous manner that violates several rules of the road, such as someone who speeds, aggressively cuts off other drivers and talks on a cell phone at the same time. In some cases, reckless driving may be offered as a reduced DUI charge as part of a plea bargain. If you have been charged with any driving offense, it is critical that you speak with a Los Angeles Criminal Defense Attorney right away. Los Angeles Criminal Defense Lawyer Michael Kraut is a former Deputy District Attorney with over 14 years of prosecutorial experience who is highly effective at representing clients charged with driving offenses. For more information about Los Angeles driving offenses, and to schedule your free consultation, contact Los Angeles Criminal Defense Attorney Michael Kraut at the Kraut Law Group located at 6255 Sunset Boulevard, Suite 1480, Los Angeles, CA 90028. Mr. Kraut can be reached 24/7 at 888-334-6344 or 323-464-6453.